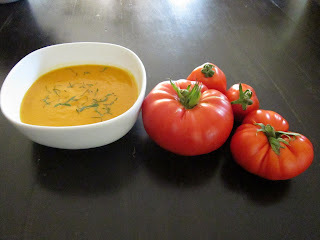 Alfi Blogger: World’s Creamiest Heart Healthy Heirloom Tomato Soup! World’s Creamiest Heart Healthy Heirloom Tomato Soup! This tomato soup is incredibly flavorful, rich, and creamy despite not having one drop of cream or butter in it! Brimming with vitamins and the powerful antioxidant known as lycopene, tomatoes are firmly believed to reduce the risk of certain types of cancer. Studies have shown that cooking tomatoes, as we do in this soup, actually increases the amount of lycopene absorbable to the body. This soup is one of those rare treats in this world that is both unbelievably good for you and unbelievably tasty! 2. Pour 2 Tbsp. Extra Virgin Olive Oil onto a baking pan and spread evenly. Arrange the Tomato Slices on the pan, and season with salt and pepper. Flip over and season the other sides. Placed thyme sprigs on tomatoes. 3. 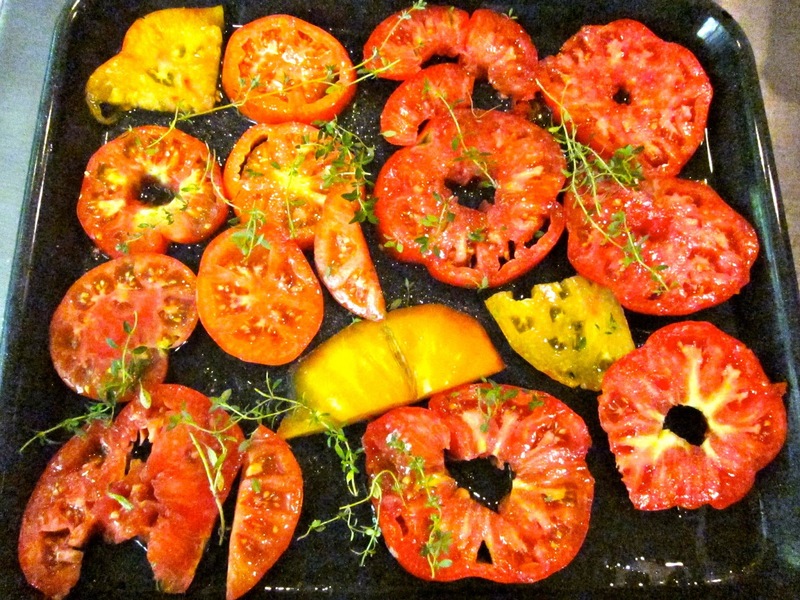 Roast tomatoes in the oven for 35-40 minutes, making sure that they do not burn. 4. While tomatoes are roasting, sauté the sliced onions in the remaining olive oil until they just begin to brown. Season with salt and pepper. 5. Add the sliced garlic to the sautéed onions, and cook until the garlic begins to brown as well. 6. As soon as the tomatoes have finished roasting, add them to the sautéed onion-garlic mixture and continue to cook for 5 minutes. 7. Puree this mixture in a blender and add water to obtain your preferred consistency. To Serve: Garnish Tomato Soup with chopped Basil and ENJOY!